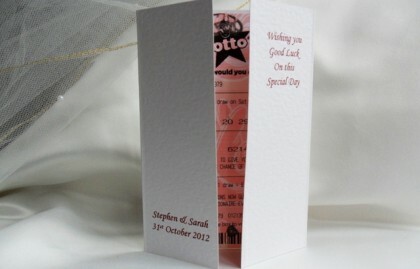 Our Wedding Favours or Lottery Favours are designed to enclose lottery tickets or scratch cards. They are available in either white or ivory hammered card (270gsm). The Cards are A6 in size and open out to A5. 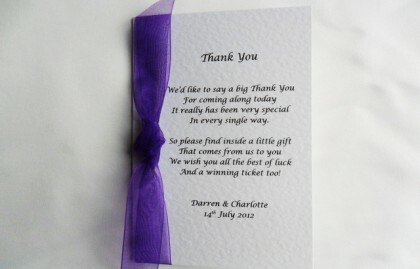 Create real excitement and share the fun of a possible win with your wedding guests! !